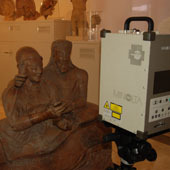 The Visual Computing Lab of ISTI-CNR was involved in the setup of the temporary exhibition Il viaggio oltre la vita. 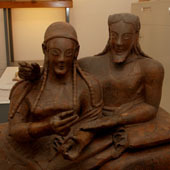 Gli Etruschi e l'aldilà tra capolavori e realtà virtuale, focused on the depiction of the afterlife by the Etruscan civilization. 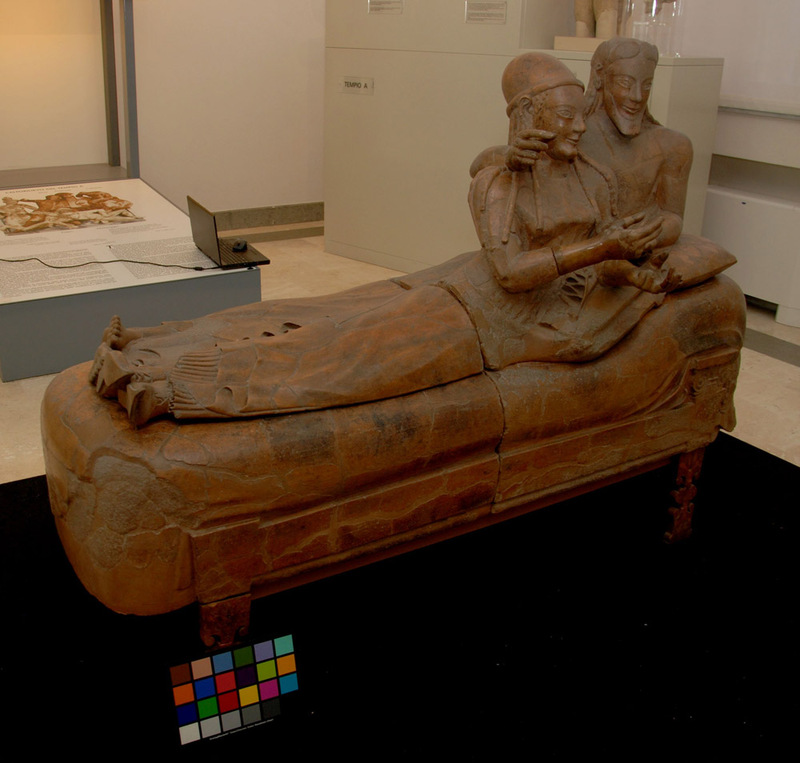 The curators of the exhibition asked for a 3D model of the famous "Sarcofago Degli Sposi" (Sarcophagus of the Spouses) from the National Etruscan Museum of Villa Giulia, in Rome; the model should have been good enough for the creation of a presentation video. On-the-field work lasted around one day (plus 2-3 hours for the photos). 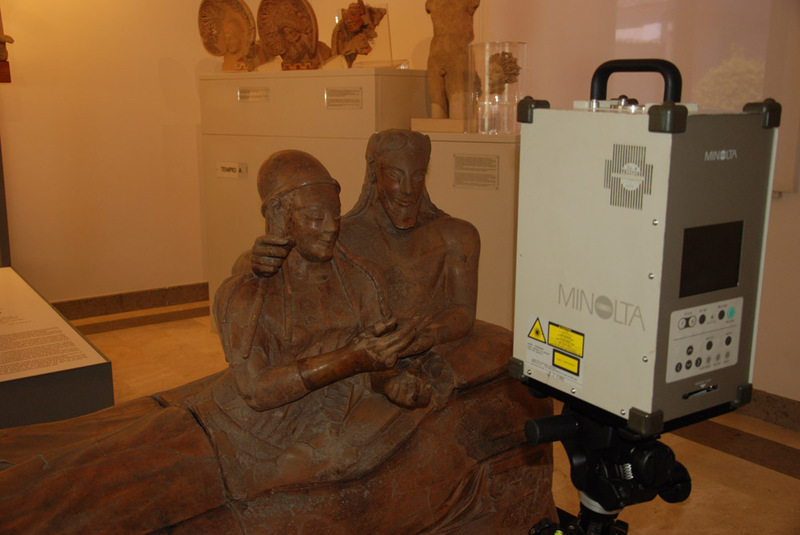 We used a Minolta Vivid 910 triangulation laser scanner to digitize the shape of the artwork. 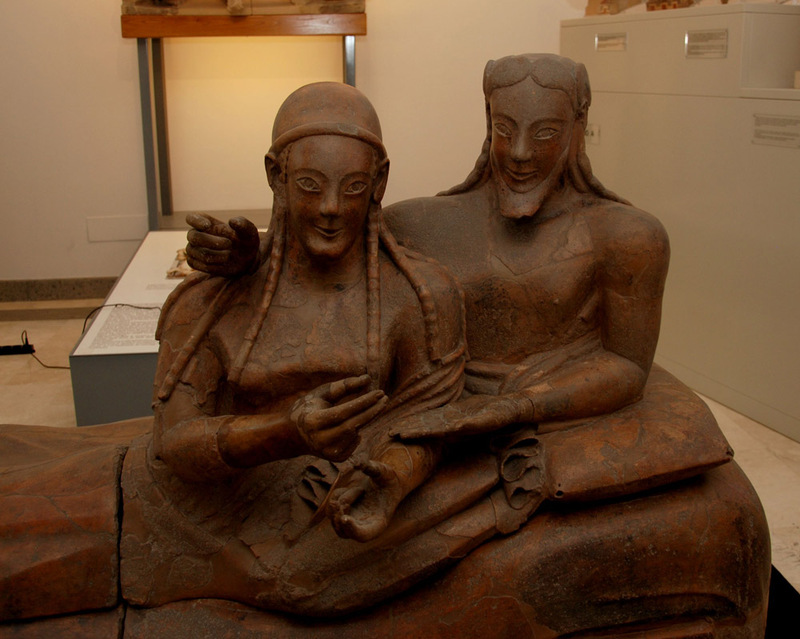 We took 352 scans, for a total of 3.1 GB of raw data. 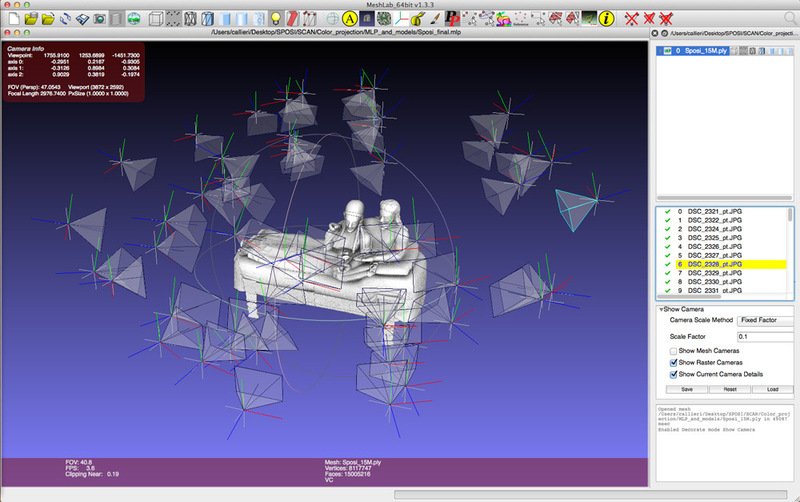 The scans have been then aligned and merged in a single triangulated surface. 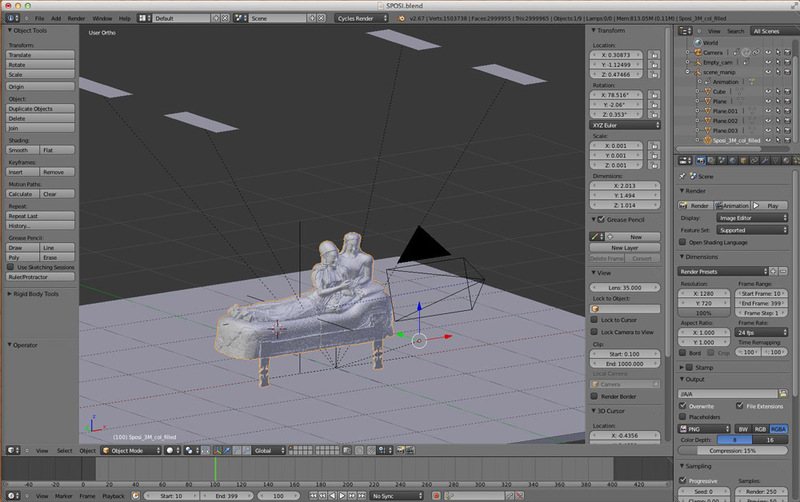 The final model, generated at a resolution of 0.5mm was composed of 60 million triangles. 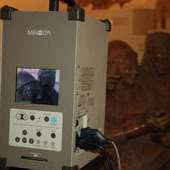 The geometry was then color-mapped using the photos taken at the museum. 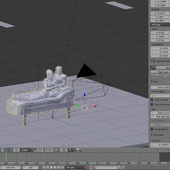 As the intended use for the 3D model was a rendered video, we tested it inside Blender. 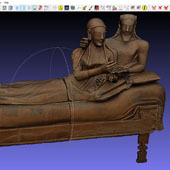 All the data processing (alignment, cleaning, merging, color mapping) was carried out using MeshLab, an open-source 3D models visualization and processing tool, developed by the Visual Computing Lab ISTI-CNR. 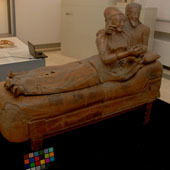 The 3D model of the Sarcophagus has been also made available for online browsing. 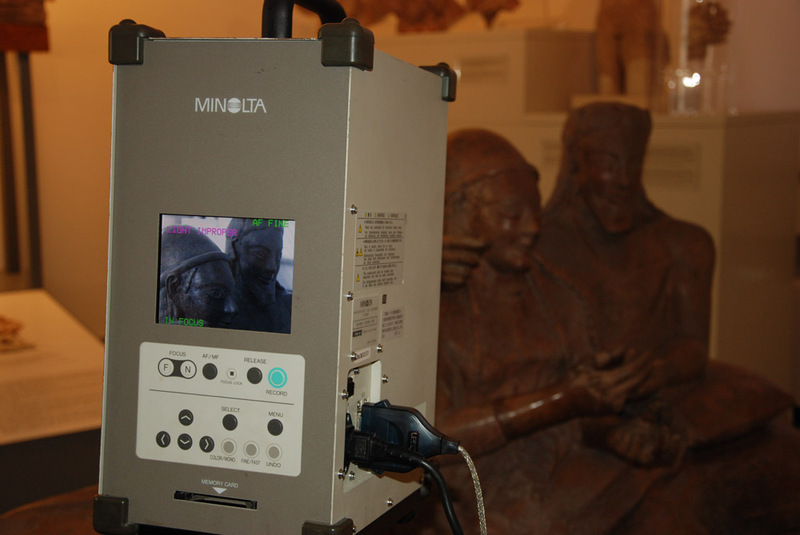 The viewer, accessible from the link on the left, let the user explore the complex object using a simple interface. 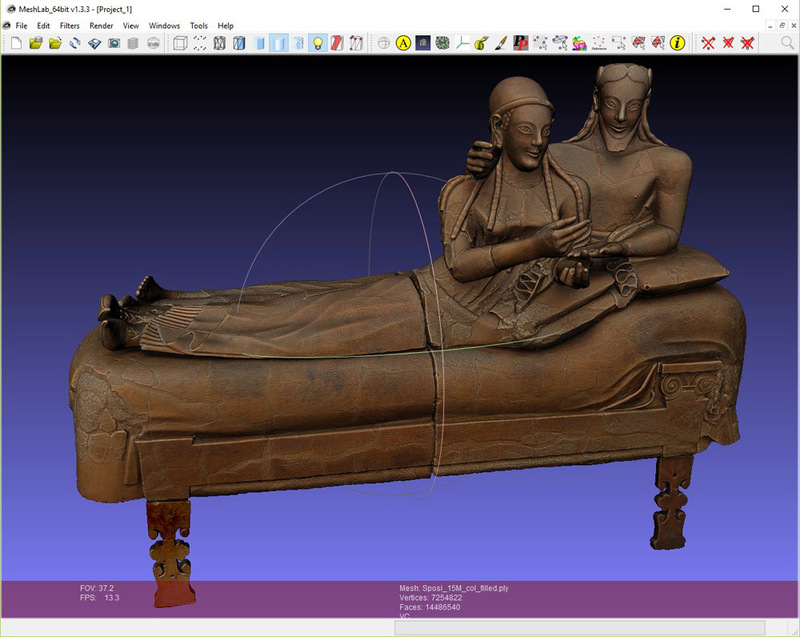 The viewer has been created using 3DHOP, an open-source tool for the onlione publication of high-resolution 3D models, developed by the Visual Computing Lab ISTI-CNR.